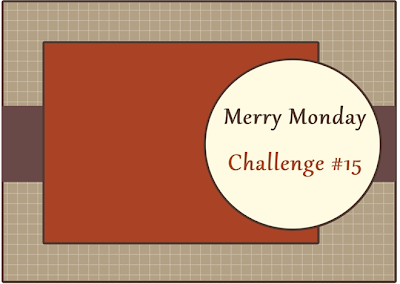 Good Morning, it is time for a new Merry Monday challenge. I am still making my way through some of the brighter Christmas papers I have in my stash, this pack came with some extra items such as die cut ornaments on a clear sheet. They are very pretty and have glitter on them. 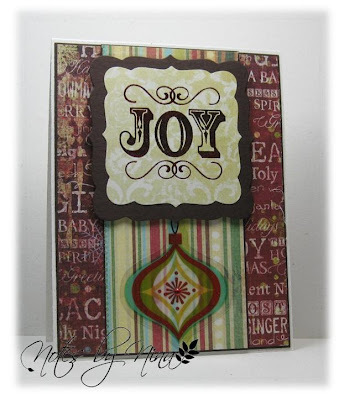 I embossed the sentiment in brown then added a gem to the ornament. 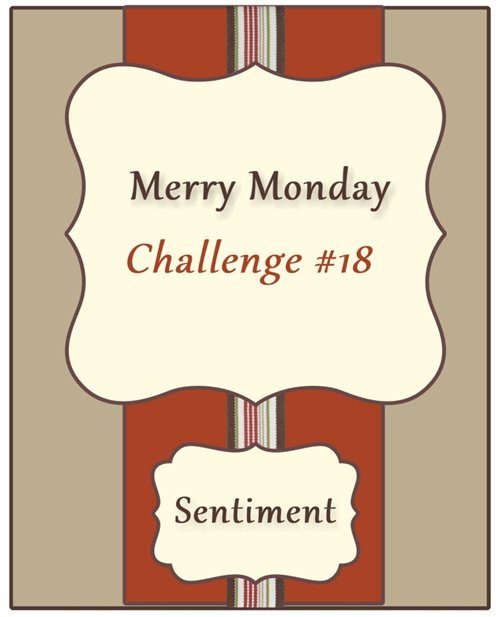 Stop by Always Playing with Paper to see what Lesley and the other Design Team members have created, we would love for you to play along with us for Merry Monday #18. 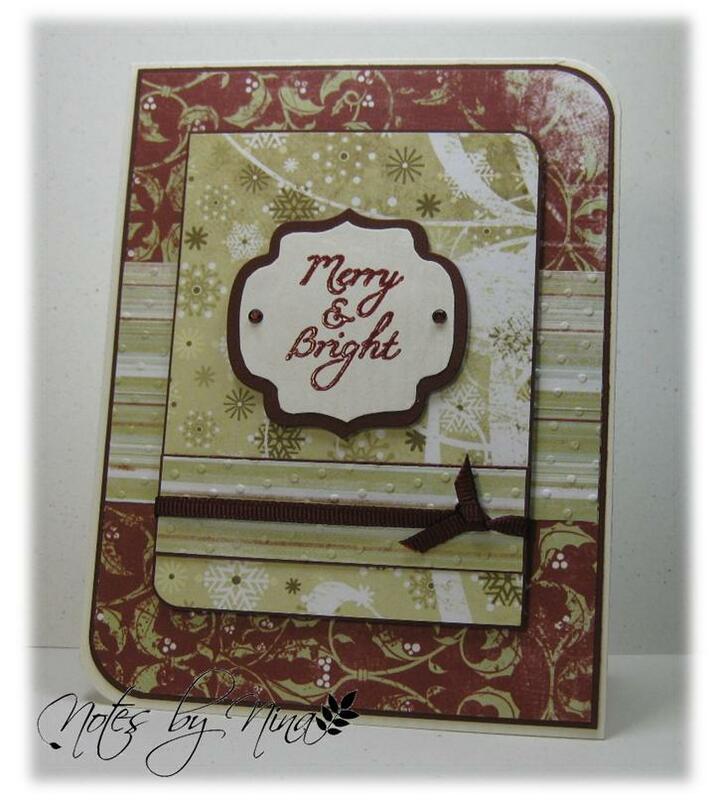 Supplies: Natural white cardstock, Designer Paper- Fancy Pants, Fiskars-Seasons Greetings, Spellbinders. My husband’s birthday is in a couple of days, I am almost embarrassed to say I am down to the wire with his birthday card creation. It is done though and hopefully he will not know that I was dragging my feet. This week’s Freshly Made Sketches inspired me, although I wandered off the sketches path a little :). 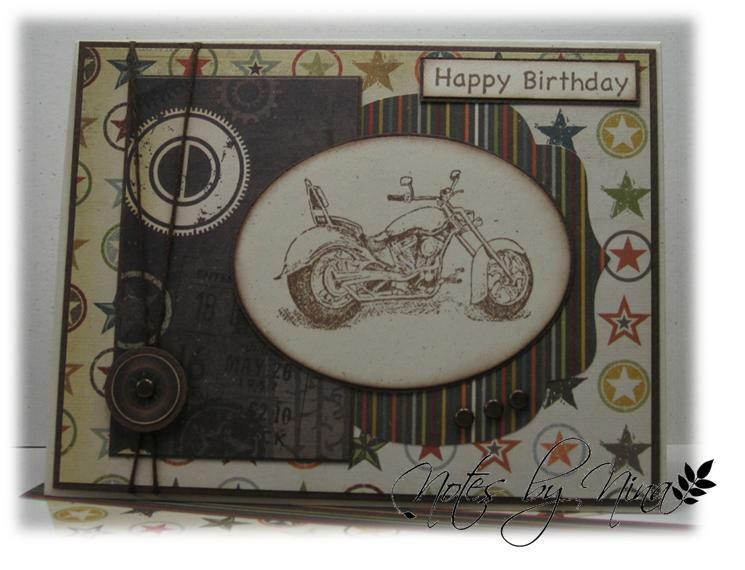 The motorcycle looked a wee bit cramped on a square card so I changed it up a little. I was not sure about the stripped paper but had it glued down before I could double think it. I printed off a little wheel and layered it as an additional embellishment. Supplies: Natural Ivory and brown cardstock, Designer Paper-Simple Stories, Stampin’ Up!-Motorcycle, Hot off the Press-Tiny Words, Spellbinders, misc brads, twine and clipart. 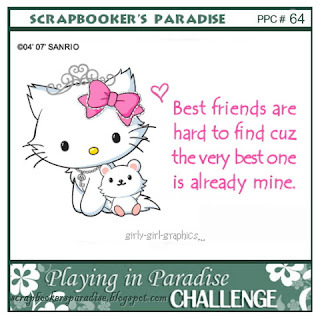 Happy Friday -It is time for another Challenge over at Playing in Paradise. 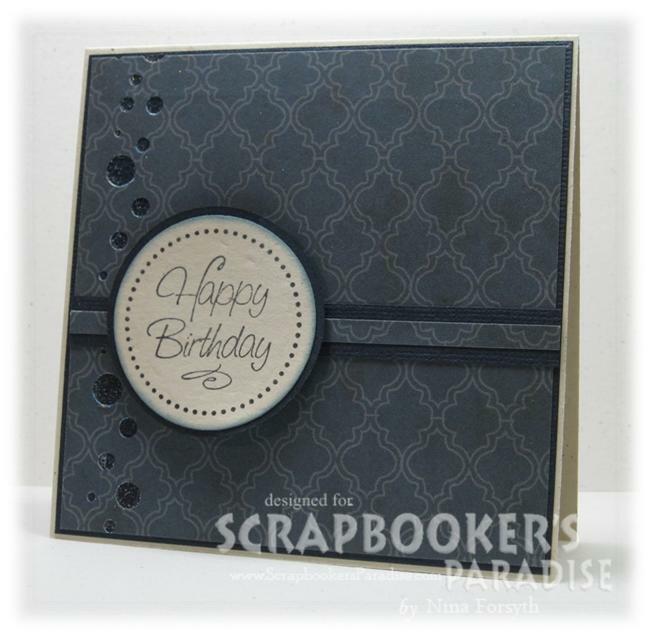 I am still working my way through the 6c6 Simple Stores paper pack I brought from Scrapbooker's Paradise after all I have 2 of them :) . I made a pretty simple card, the large buttons are just layered punched circles that I popped up with foam tape. I did the same with the sentiment. I finished with some pearls. Supplies: Cream and brown cardstock, Designer Paper-Simple Stories, TPC Studio-Brush Stroke Greetings, misc punches and embossing folders, Recollections pearls, ribbon and embroidery thread. 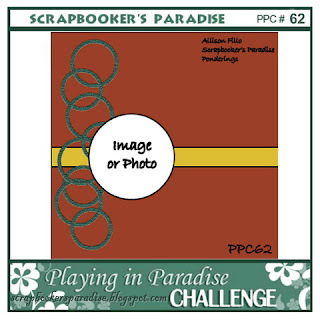 Please stop on by the Scrapbooks Paradise blog and see the fabulous projects from the other Playing in Paradise design team members. Join in the fun and you could win some fabulous craft supplies. I am so sleepy :) yet here I am trying to sneak in a post for Mojo Monday before I head off to bed. I will have to make sure to check the post in the morning to see if I just typed jiberish or not :). Supplies: Cream and brown cardstock, Designer Paper-Simple Stories, Inspired by Stamping-Heartfelt Gratitude, Spellbinders Nestabilities, Recollections-Pearls, misc ribbon and twine. I will catch up on commenting tomorrow, night all. The rain is back, after a couple of amazing teaser days of sun - I can't wait for summer. 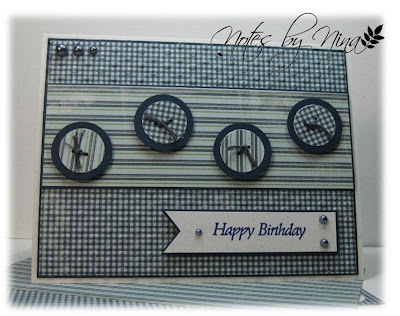 This card was created for my mother-in laws 80th birthday. I have had this foam B sticker for a very long time, knowing at some point I would use it. I used layers of this shimmery paper from DCWV, I punches out a few branches to put under the resin roses and finished with a sentiment. 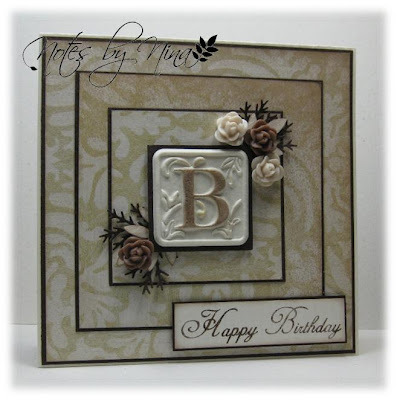 Supplies: Cream and brown cardstock, Design Paper-DCWV, Inspired by Stamping-All Year Wishes II, Time 4 Crafts foam B, Martha Stewart punches, Recollections Resin roses. Happy Monday everyone, it is time for another Merry Monday, Lesley has a fabulous sketch for us. I have been trying to use some of the designer papers that have been in my stash forever :). I heat embossed these ornaments, then added a tiny sentiment to each and finished with some delicate gold floss. Supplies: Cream and burgundy cardstock, Designer Paper-My Mind's Eye, Just Rite-Deck the Halls, misc burgundy embossing powder and gold floss. Stop on by Always Playing with Paper to see what Lesley and the other Design Team members have created, we would love for you to play along with us for Merry Monday #17. 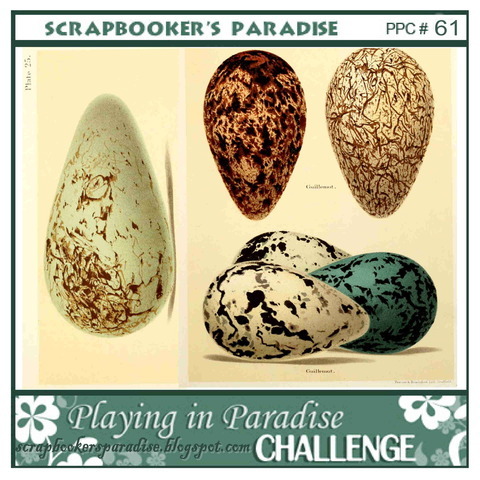 TGIF everybody, this week seemed to have zoomed on by, it is time for a new Playing in Paradise challenge. This week's inspiration challenge is spring flowers. I think Victoria had it's flower count sometime last month, my crocuses and tulips have been blooming for weeks. The fruit blossoms are out in full force and the city is so beautiful that it was not hard to find inspiration. I actually looked out my front window for my inspiration, I decided to try my hand playing with my Tombow markers to make my tulips. I think they turned out ok. 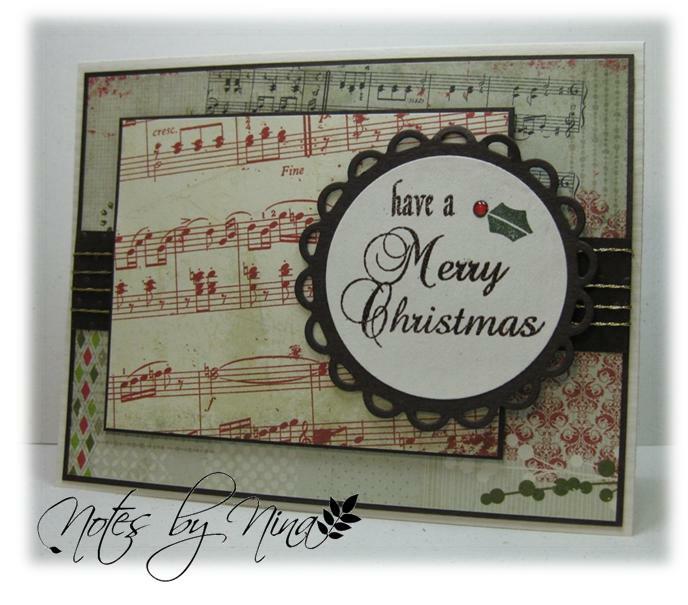 I added a little texture to the background and used a whimsical font stamp for my sentiment then finished with sheer ribbon and some pearls. 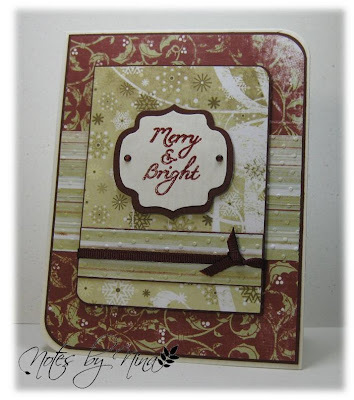 Supplies: Natural white and brown cardstock, Design Paper-My Mind's Eye, Michael Strong- Cloisonne Words and Phrases, Spellbinders die cuts, cuttlebug embossing folder, misc ribbon, Recollections pearls. 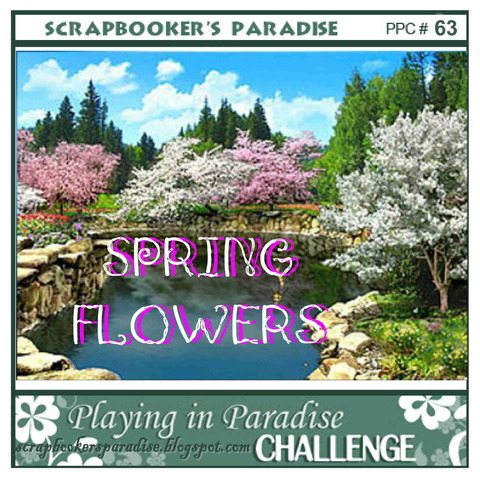 Please stop on by the Scrapbooks Paradise blog and see the fabulous projects from the other Playing in Paradise design team members. Join in the fun and you could win some fabulous craft treats. Good Morning All - A very short post this morning. 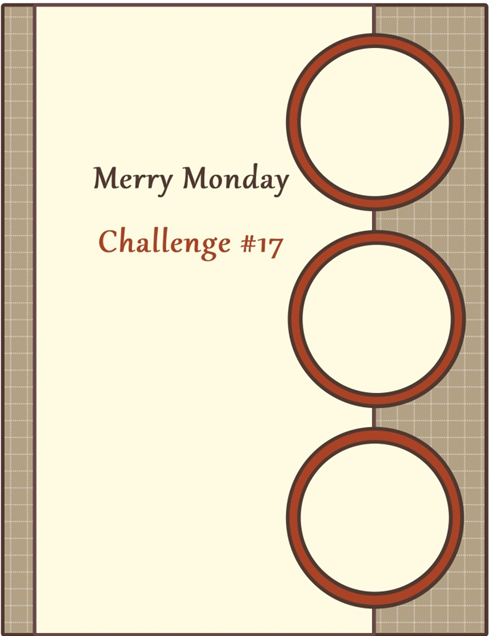 I don't recall which challenge I created this card for. I added some texture to the layers, I used some pretty sheer ribbon and finished with some pearls. 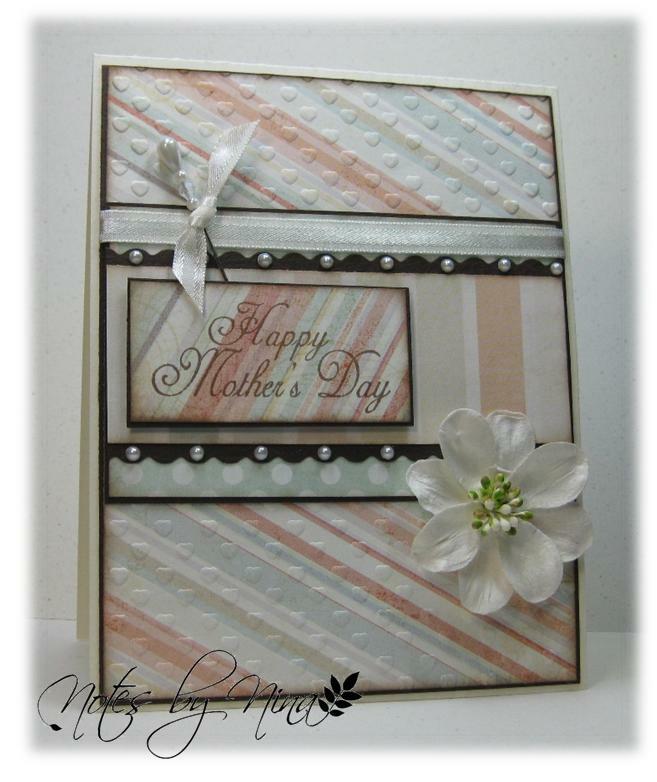 Supplies: Cream and brown cardstock, Designer Paper-Bo Bunny, Inspired by Stamping-Heartfelt Gratitude, Spelbinders Nestibilities, Recollections-Pearls, embossing folder, misc sheer ribbon. A quick second post today for the current Mojo Monday Sketch Challenge﻿. I added some texture to the background and foam tape to the sentiment and buttons to add dimension and finished with some pearls. Supplies: Natural white and blue cardstock, Design Paper-Authentique, Inspired by Stamping - Ahoy Matey, misc punches and embroidery floss, Cuttlebug embossing folder, Recollections pearls. 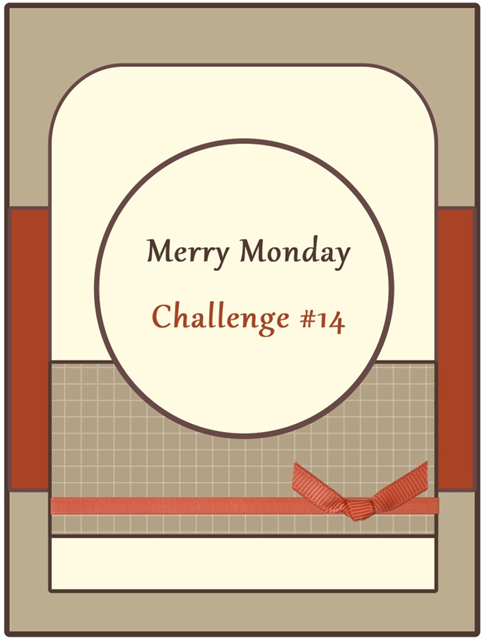 Happy Monday, it is time for another Merry Monday Challenge. I hope that you get a chance to join us this week. I have more Christmas paper in my stash then I think I should admit, this Fancy Pants paper pack had been hiding for a couple of years and I alway pass it by because of the bright colours. I like the way my card turned out though. I used a brown base, added a little ink around the paper edges and finished with some brown ribbon and sparkly candy dots. 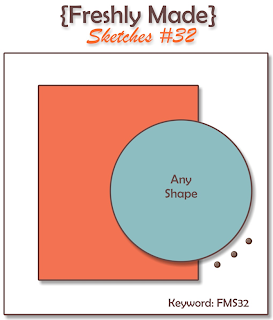 Supplies: Cream and brown cardstock, Designer Paper -Fancy Pants, misc punches, candy dots. Happy Friday – It is time for another challenge over at Playing in Paradise, Allison has created a fantastic sketch for us. I stayed with a super simple card, I used a punch for the circles then finished with the sentiment. A quick second post for today for the current Mojo Monday Challenge. Lots of layers, and some added textured hearts. I added a trinket pin with a piece of satin ribbon to match the band and finished with a Mulberry flower. 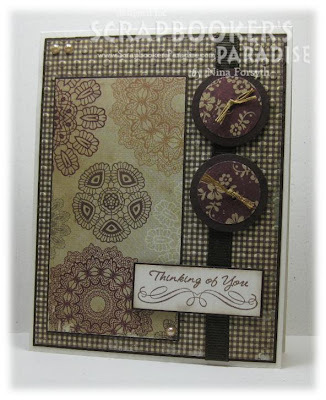 Supplies: Cream and brown cardstock, Designer Paper-My Minds Eye, Inspired by Stamping-All Year Wishes, CoreOdinations Mulberry Paper Flowers, Making Memories -Trinket Pins, misc satin ribbon, Recollections pearls, embossing folder. Happy Monday, I hope everyone has had a wonderful Easter Weekend. 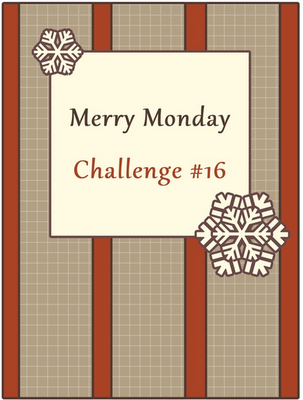 Can you believe that it is the 15th Merry Monday challenge today. 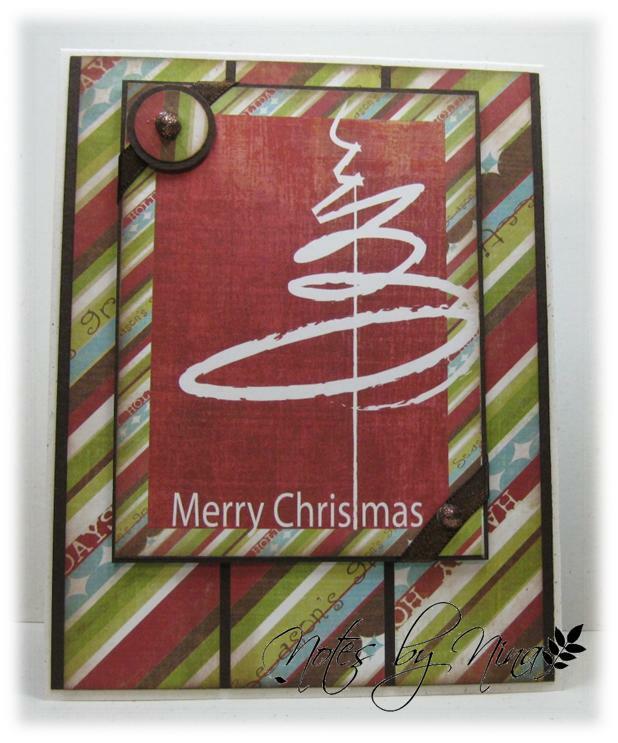 I think it is fabulous that I have 15 Christmas cards created for this coming holiday season. Yes, I know we still have a ways to go but it is never too early to start :). 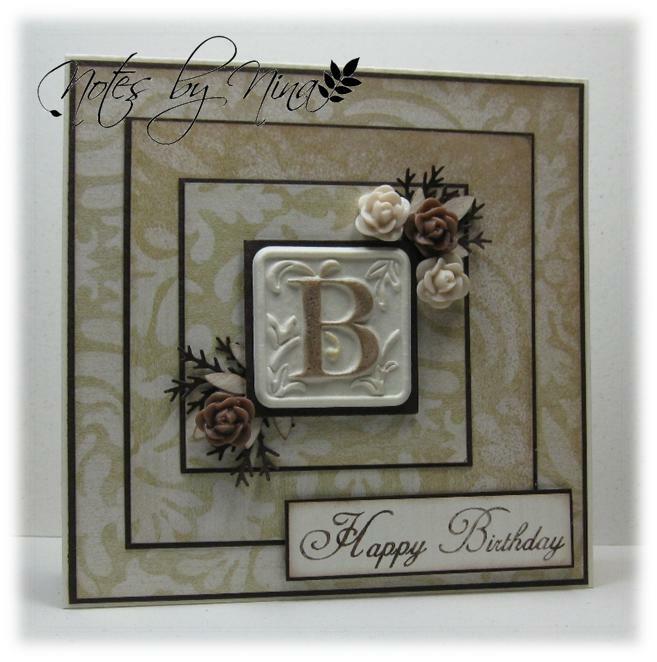 Lots of layers with this card and I wrapped delicate gold twine around the center section. I finished with a small stamped holly leaf and a red gelly dot. 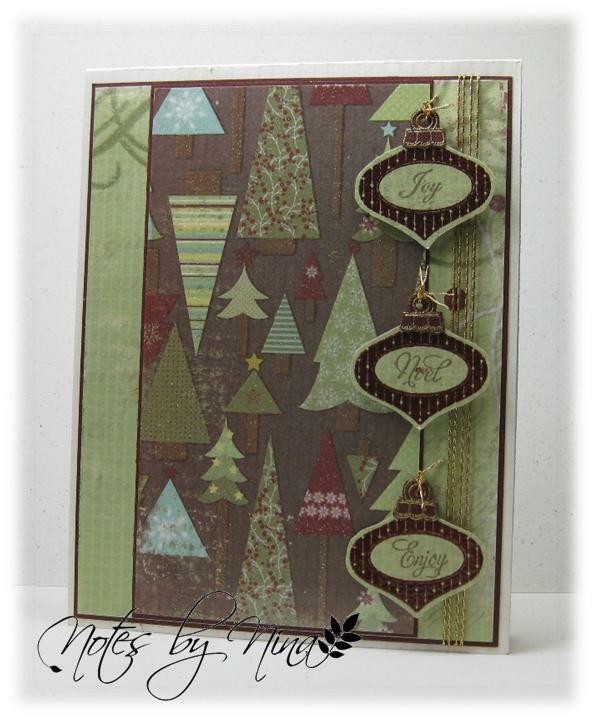 Supplies: Cream and brown cardstock, Designer Paper-Authentique, Inspired by Stamping-Christmas Greetings, Spellbinders die cuts, embossing folders, misc gold twine. Another Friday is upon us, which means a new challenge for Playing in Paradise. 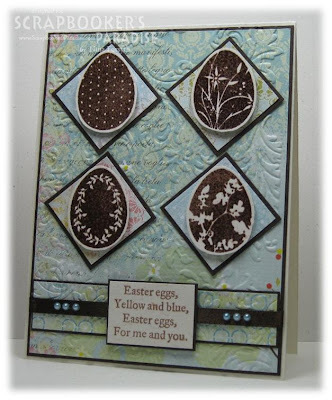 I chose to do an Easter card with this week’s inspiration picture. I heat embossed the eggs in brown, and then I popped them up on layered squares. I added texture to the background and finished with ribbon and pearls. Supplies: Cream and brown cardstock, Designer Paper-Memory Box, Close to my Heart-Easter Eggs, embossing folders, misc ribbon and pearls. Take a peek at the Playing in Paradise blog so see what fabulous projects the design team has created. 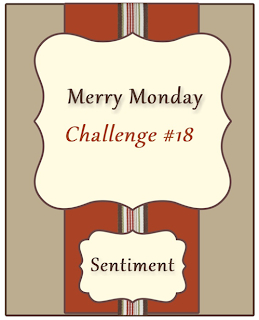 Happy Monday, it is time for a newsketch for the Merry Monday challenge. I am so excited to be a part of Lesley’s inaugural design team of Merry Makers. Lesley has another fabulous sketch for us today. 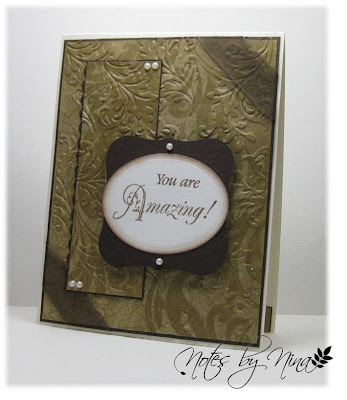 My card has simple layers with a little texture, I have the center layers popped up with foam tape. I finished with thin ribbon and gems. Supplies: Cream and burgundy cardstock, Designer Paper-Fancy Pants, Inspired by Stamping-Christmas Greetings, Spellbinders die cuts, embossing folders, misc ribbon and gems. 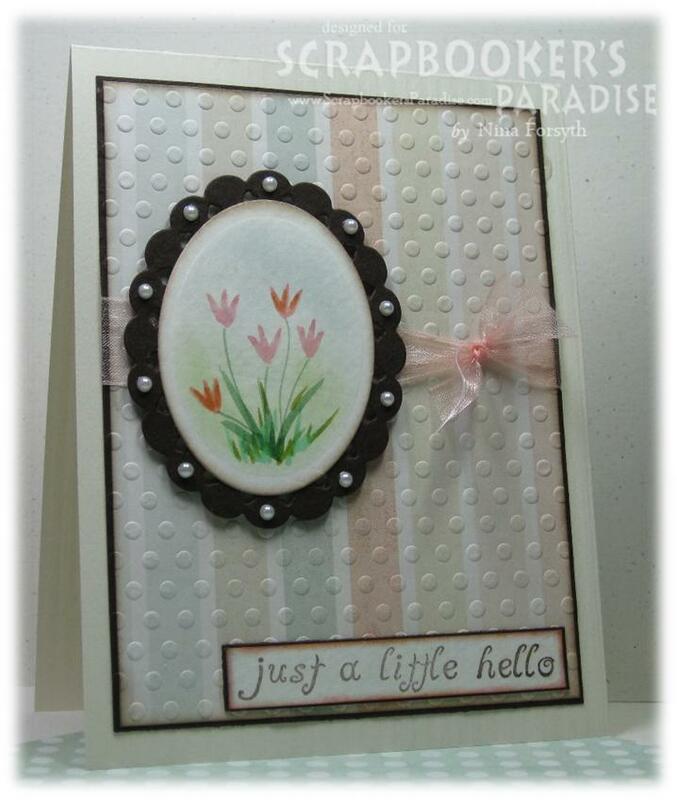 Take a peak at Always Playing with Paper to see the fabulous creations from Lesley and the other design team members.